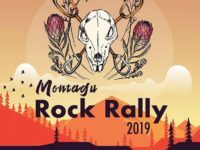 Chance of wet weather, roadblocks and early mornings couldn’t stop just over 100 climbers from coming to Montagu to participate in the 2019 Rock Rally. 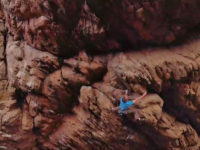 The Black Slab sector and surrounding crags at The Farm on 62 now have a bunch of awesome platforms at the base of the crags. 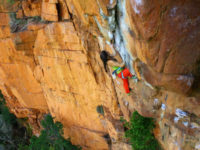 Montagu is one of the sport climbing meccas in South Africa. 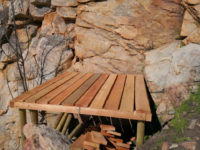 Recently a devastating fire swept through the mountains surrounding the town, seriously affecting the vegetation and bases of quite a few of the rock walls that boast many of the climbs that Montagu is famous for. 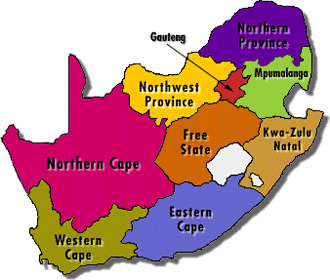 This article stems from activity in Bosch kloof, Montagu during the past week. 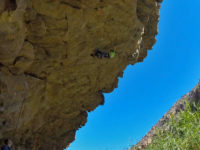 Clinton Martinengo recently sent Chongololo 8c/34 in Bad Kloof, Montagu. 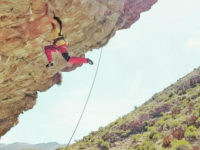 Still on a high after yesterday’s first ascent at Waterworld crag here in Montagu. I cannot describe how happy I am to have opened this project that stood there for so long. 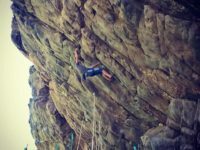 EXCUSES – something we as climbers are guilty of doing at some point and some more than others. So what exactly are excuses? Getting back into the normal routine of daily life after being up in Joburg and Boven for approximately a month can be a bit challenging, especially when you feel so exhausted and all you really want to do is sleep.